The Land Rover defender comes with Road Rail equipment. In real life these cars access the track via a crossing or purpose built ramp. The hydraulics position the rail style wheels into position, leaving the rubber tyres touching the track. At which point the driver operates the car as normal with the rail wheels acting as a guide to the vehicle. 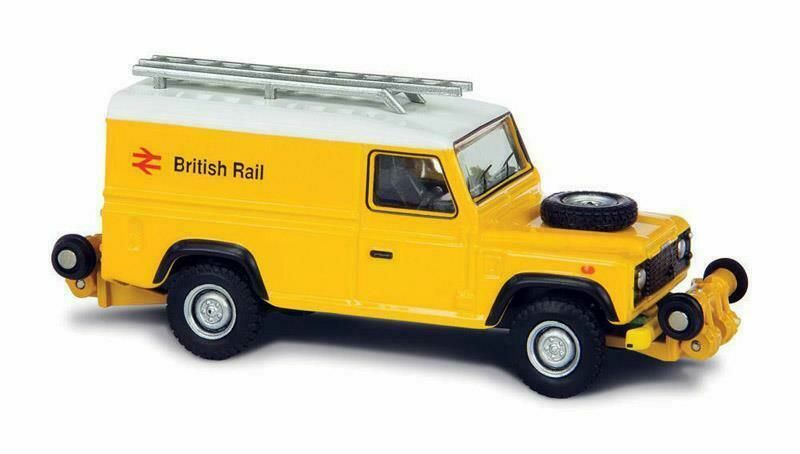 This die-cast Land Rover Defender features pose-able rail wheels - they can be set up (for road use) or down (for rail use). The model comes complete with a set of rail ramps which are used to gain access to the track.